I happen to like signs. 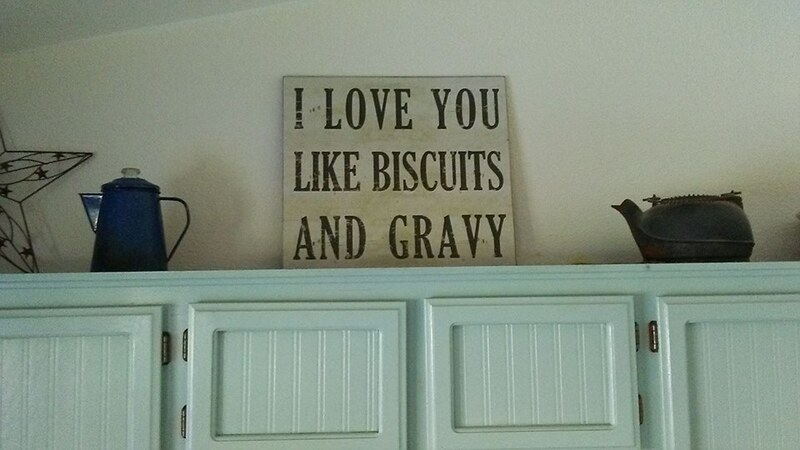 So I gave my husband the above sign for Valentines Day. OKAY, maybe it REALLY was for me but he liked it. 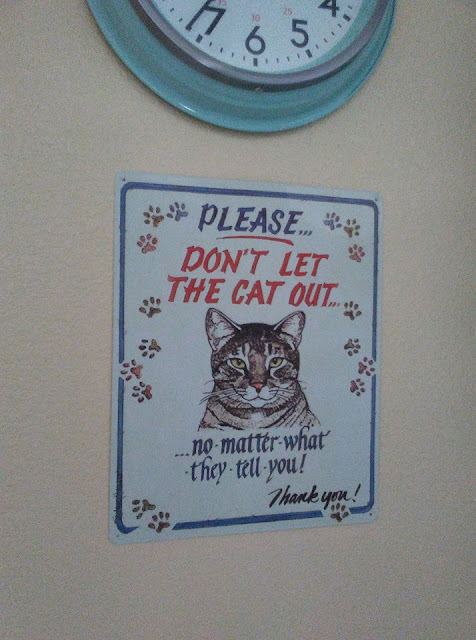 I saw this sign and HAD to get it. My cats are strictly inside cats. We've lost 2 precious kitties to coyotes and my neighbor has lost 3. Recently when I had my bible study lunch, it was hard trying to keep track of my cats. Seems guests are too compliant to the demands of a cat. I had to announce it several times. So this is by my back door. They shouldn't miss it and if they do ,they shouldn't be driving! I ordered another sign, from Antique Farmhouse. My husband was the one who retrieved the package and he breathed heavy while opening it. He didn't say a word. He didn't have to. I knew he was thinking, that I had overdone the sign buying. It's a cute sign and for goodness sakes, it cost $20. But looks like it's time to let him get something he wants; like this tall ladder and a tree pruning thing. We celebrated our 16th wedding anniversary on Friday and it's all give and take. It's noticing when he wants something and doing everything in my power to get it for him so I can continue on, with my stuff. That is what makes a good marriage work. hee hee. *Note: My cell camera really takes terrible photos. I want a new camera and I know my husband does too. Anyway, the color of my cabinets are the same exact color as my retro clock. My walls are yellow. None of that shows up. I don't buy signs, but I love reading the funny ones on Pinterest. LOL - yep thank God they are still breathing! Gotta love them!